Pumpkin spice and everything nice! 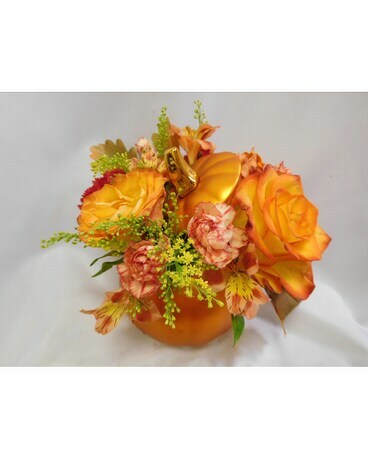 This arrangement is great for any fall holiday. It includes a keepsake ceramic pumpkin with a lid, the perfect place to stash holiday treats for years to come. It also includes beautiful two toned roses, carnations, and alstroemeria. Put a little pumpkin spice into someone's life today! This is a Beautiful Bouquet Florist exclusive, created and photographed in our Henderson, NV store. For local delivery only. Occasionally, substitutions may be necessary to create your bouquet. 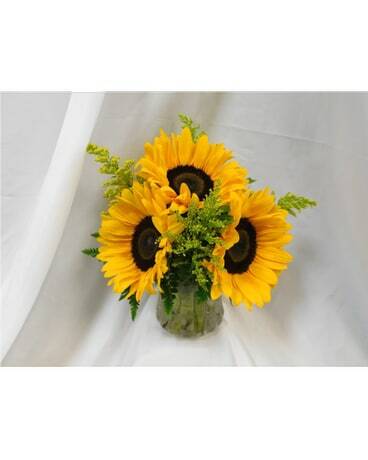 Care is taken to maintain the style and theme of the arrangement using flowers of equal value.